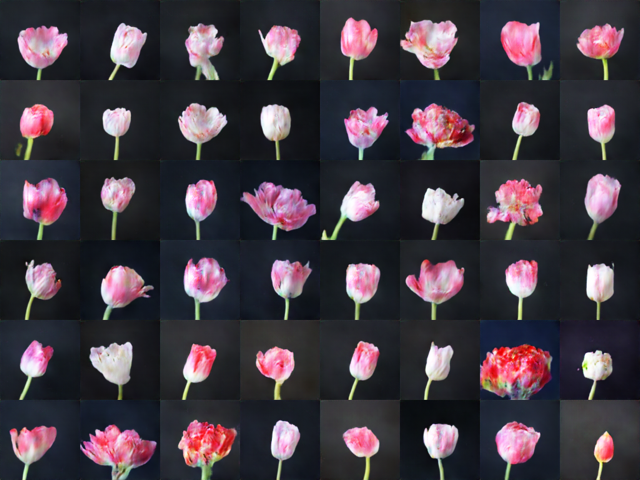 Drawing historical parallels from “tulip-mania” that swept across Netherlands/Europe in the 1630s to the speculation currently ongoing around crypto-currencies, this video work is generated by an artificial intelligence (AI). It shows a tulip blooming, an updated version of a Dutch still life for the 21st century. The appearance of the tulip is controlled by bitcoin price. “Mosaic” is the name of the virus that causes the stripes in a petal which increased their desirability and helped cause the speculative prices during the time. In this piece, the stripes depend on the value of bitcoin, changing over time to show how the market fluctuates.